Knowledge about change in water. Water is constantly changing. Water molecules connect and disconnect in a split second, none stay together very long. The physical properties of water know no political or economic boundaries; however, the social reality of water cannot avoid such complexities. While "change in water" – understood as the worldwide improvement of access to safe drinking water and sanitation, as well as water infrastructure – is not likely to be completed soon, the question remains: do the innovative approaches of social entrepreneurs provide a promising complement to current strategies and instruments? GETIDOS puts an interdisciplinary perspective on social entrepreneurship (SE) by integrating knowledge and methods of business studies, ecohydrology, philosophy, political science and environmental engineering. It thereby aims at an understanding of the role that social entrepreneurs play in the water sector as well as evaluating their potential for sustainable development. For an integrated approach, the GETIDOS understanding of sustainable development is based upon the capability-approach and the theory of strong sustainability, which are complemented by the knowledge and methods of the above-mentioned disciplines. The starting point is the challenge of sustainable water management. GETIDOS works on practical knowledge with and for stakeholders in the water sector. Different social entrepreneurs are evaluated based on the integrated GETIDOS approach. The outcome of these evaluations are discussed in close cooperation with the SE-initiatives. 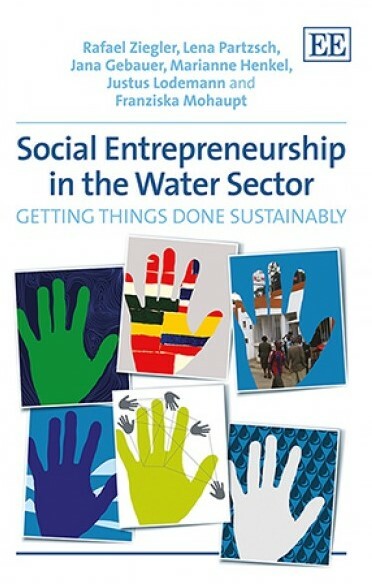 The evaluations are accompanied by contributions to the knowledge base of social entrepreneurship initiatives in the water sector worldwide. One step towards creating this kind of global water map is the development of the online portal WasserWissen (water knowledge) in cooperation with betterplace.org, one of our partners of practice. Education for water in change. GETIDOS initiated an event series called „Getting things done with…“ for students, researchers and anybody else who is interested in the topic of sustainable water management. Social entrepreneurship initiatives are presented and their projects explained - e.g. why trees are the best air conditioners, how you can save the world sip by sip, and why all European citizens should jump into their rivers at the same time. For students we offer seminars on social entrepreneurship, water and ethics, as well as development and justice. In 2011 we conducted a summer school that brought social entrepreneurship researchers together with researchers from the field of corporate social responsibility (CSR). The summer school sought to find comprehensive and transferable questions on the research objects of entrepreneurial actors who take over responsibility for today’s social and ecological challenges. Furthermore, the summer school aimed to initiate mutual learning; the results and findings were published in a book. In 2012, GETIDOS and other partners carried out a collaborative educational campaign – Big Jump Challenge. The Germany-wide campaign combines a) the idea of collaborative competition within the meaning of an open review-process for social entrepreneurship ideas with b) the Big Jump idea of the European Rivers Network. The campaign has since been taken to the European level. The Junior Research Group was funded from 2008 until 2012 at the University of Greifswald and the IÖW Berlin by the BMBF as part of its support for social-ecological research. 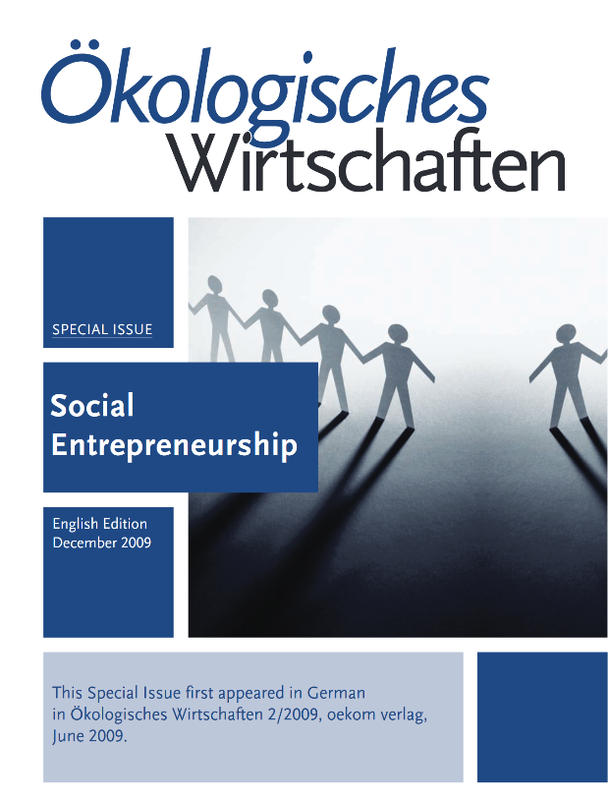 This Special Issue, edited by Jana Gebauer, Franziska Mohaupt and Rafael Ziegler, appeared in Ökologisches Wirtschaften 2/2009. It includes distinguished international authors on social entrepreneurship as well as German voices. You can download the full version of the special issue via this link.